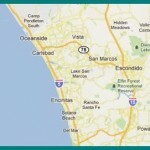 Looking for a reliable San Diego towing company? Do you need a quick, easy, but safe flat tire change? If your car won’t start because you are out of gas or need to recharge battery, Green Towing San Diego can arrive within 30 minutes of your call and provide expert roadside assistance care. Call us any hour or the day or night at (858) 457-8530 for immediate towing services and emergency roadside assistance. Green Towing San Diego offers complete towing services to many cities around San Diego, including: Towing Chula Vista, Towing El Cajon, Towing Escondido, Towing Oceanside, Towing Vista, and more! If you are in or around San Diego, CA and need to tow vehicles (e.g., car tow), receive a car replacement battery, jump start battery, fix flat tire, or require professional lock picking to retrieve your keys and open your car door, We can help! No matter where you are in San Diego CA, our tow truck operators strive to arrive at your location within 30 minutes or less. What makes our San Diego towing team unique? Through our experience, skill, and technologically advanced tools and computers, we can offer high quality expertise in areas ranging from towing and roadside assistance to expert car towing services! 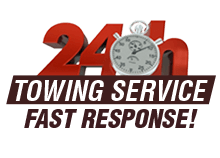 We are available 24 hours a day, every day of the year and provide local and long distance towing, when other companies say “No.” Our customer service representatives will reassuringly set expectations for you regarding arrival time, tow truck equipment, and of course, costs. When it comes to emergency towing, you deserve transparency and a high level of responsiveness. Our team is dedicated to your roadside safety and has put together an important guide on “What to Do if You Are Facing a Roadside Emergency.” Check it out and learn how to best prepare and handle roadside emergencies! All our services are available 24 hours a day, 7 days a week. The Green Towing San Diego team knows the importance of a fast response time. Drivers are continually working in multiple locations in order to reach our customers within 30 minutes of their call. Our technicians are the best in the auto towing industry. They are up to date with the latest car towing industry news and regularly attend conferences and additional training. As such, they are able to handle a wide variety of situations out in the field. If your car won’t start, our technicians have the knowledge to detect the issue and provide assistance on the spot. All drivers and operators are fully licensed, insured and bonded. Our tow trucks, dollies, and tools are well maintained to ensure you receive the highest level of care. So anytime you need an auto recovery, towing or car service, you can trust us. Locked out of car? Car won’t start? Out of gas? Need to charge car battery / recharge battery / jump start battery? 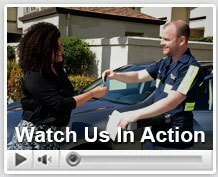 Looking to tow vehicles to a garage? Or, simply require a car tow? From small requests to more involved emergency situations, you can expect to receive the same high level of attention, accuracy, and efficiency. Need to charge car battery? It doesn’t always turn out to be the simplest task. You may not be able to get a hold of a second vehicle. Or the recharge battery may not be enough and you may need a car replacement battery. Our technicians are equipped with the knowledge and tools to help with the jump start car. Need to fix flat tire? A simple tire fix can turn into a complicated and frustrating experience if not addressed properly. Sometimes the spare tire is not serviceable and the damage may be too severe to patch. It is always recommended to call professional who can provide the support, tools, and skills that are necessary in such situations. Our drivers have experience with a large array of vehicle manufacturers and models. Please note that you will need a spare tire in order for our professionals to handle the flat tire fix. If you do not have a spare tire, our professionals can tow you to the car dealership, mechanic garage, or other destination of your choice. Call Green Towing San Diego (858) 457-8530 for all your towing and roadside assistance needs. When it comes to local San Diego Towing, we’re the best in the business. Our tow truck operators are standing by!